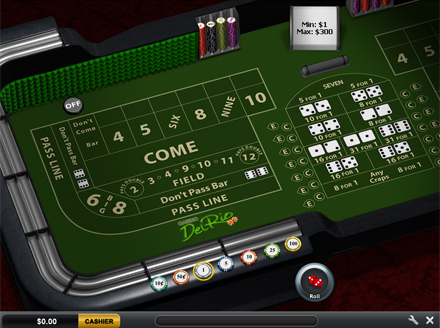 Casino DelRio welcomes you to roll the dice online and grab $15 and 72 hours to play for free and win for real! Just don't lose your chance to try your hand at craps games powered by Playtech without any risk for your wallet. Yeah! It's your green light for enjoyable gambling experience and BIG GREEN BUCKS. Download easy-to-use casino software or use your mobile device to create your real player account to get Free Sign-Up Offer and the whole variety of engrossing casino games to thrill and win. Moreover, there are lots of other weighty reasons to register at Casino Del Rio... Only one glance at the casino and you will see that the gambling house is worth your attention. So, let's check out all the advantages provided here with us right now and start your gaming vacation! 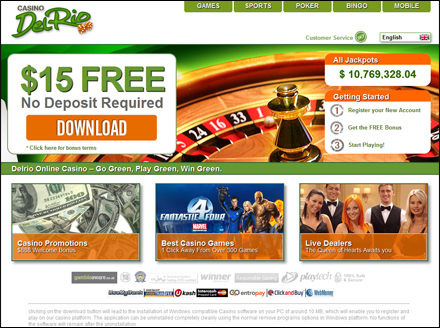 $15 No Deposit Bonus is not so huge as you could dream about, but it promises 72 hours of enjoyable gambling experience and FREE real money winnings. What's more, all you need to do to get the bonus cash is to open real money account. Yep. No deposits required. You can spend these credits as you wish. You can practice at craps games with new strategies and even win some money. The news that you can keep up to $200 of your winnings makes sense to play smart, doesn't it? However, if you're going to take away your gains, be ready to meet some requirements. First and foremost, you are to activate your player account by depositing. In the case you need to purchase no less than $50. Besides that, the casino asks you to meet the wager of 11 times. 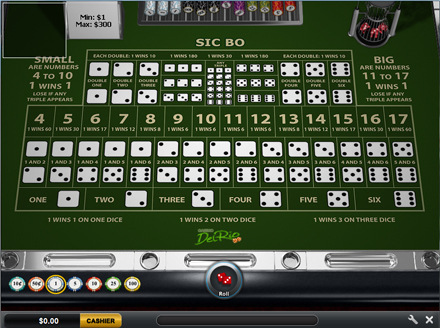 Playing Sic Bo or any Craps, you are to complete 250x wagering. Making a choice, pay attention, that you can use only one of these offers. So, let's review each promotion separately to help you to set your choice. All first depositors can count on 100% match bonus even when depositing $20 only. The maximum bonus amount can reach $200. 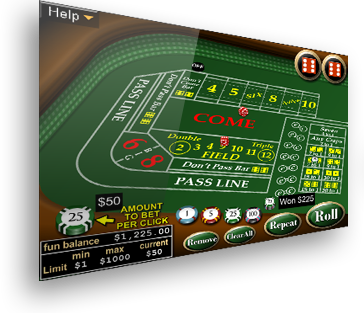 The wagering is 17 times and 85 times for all varieties of Sic Bo and Craps. In case you want to get bigger bonus, then you can purchase the account with $500 or more and handle $300 Mid-Roller Bonus. To withdraw all your winnings, you need to complete the wagering requirement of 12 times and 60 times for dice games. But if you're looking for risky play and high stakes, then $888 High Roller Bonus suits you best of all. Just make your first deposit of at least $2,000 to be eligible for the promo. Don't forget to playthrough your deposit and bonus by 11 times or 55 times playing craps games before claiming for your winnings. But it's not where the bonus program of Casino Del Rio ends. Because the gambling house has a true ace in the hole - $3,500 Monthly Bonus. So, all further depositors can get 25% free bonus up to $350 every day and get up to $3,500 FREE every month! Note that this Monthly Bonus is valid for 1 time a day and 5 times a week only. All you need is to deposit no less than $30 to be eligible for the promotion. The general wager is 12 times and 60 times for Craps and Sic Bo games. The casino also gives you a chance to enhance any deposit made. Just use alternative payment methods and appropriate 10% or 15% Extra Bonus. You can look through the list of methods that offers you the match offer by visiting the casino cashier. The wagering is 12x (60x for Sic Bo and Craps). Just get more for your money always being the customer of the casino. Stay tuned and get the best offers awarded. Also, you can withdraw your money gains fast and problem free using EntroPay, Bank Transfer, Bank Draft, Internet Banking, PaperCheckExpress, PaperCheck or via Credit Cards available. 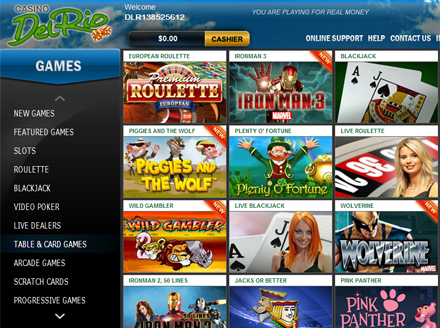 Casino DelRio is powered by Playtech that is one of the leading software providers in the field. So, choosing the gambling house, you get the stunning quality and total security plus an outstanding games collection with craps games included. What's more, the casino provides you with a chance to play mobile craps. Yep. Thanks to the mobile version available you can easily turn any your device into a true gambling house. So, just hurry up to experience all the thrill rolling the dice online!